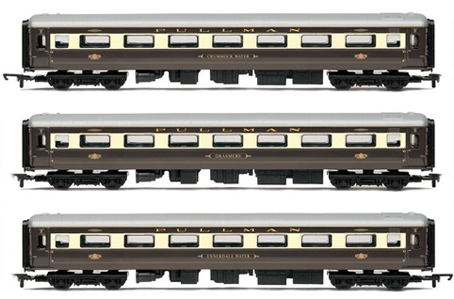 Details: Brown lower panels with yellow gold upper panels and gold lining. 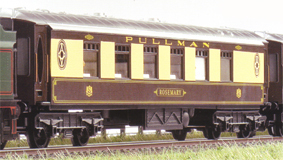 Pullman S.R. 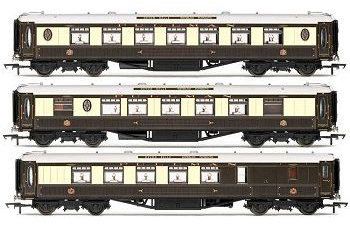 Bogie Luggage Van ? 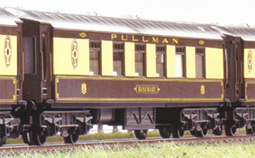 Pullman Third Class Parlour Brake ? 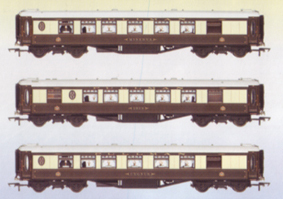 Thanet Belle Coach Pack ?